Professor Safir has been a member of the faculty of The American University of Paris (AUP) since 1987. A Hispanist by training, she did her doctoral dissertation with Emir Rodríguez Monegal at Yale, and has continued to do research and teach in the field of contemporary Latin American fiction. Since joining the faculty of AUP, however, her work has expanded to comparative literature and interdisciplinary concerns, and in the last decade the focus of her research has been the interaction of knowledge and imagination, most particularly in science and literature. 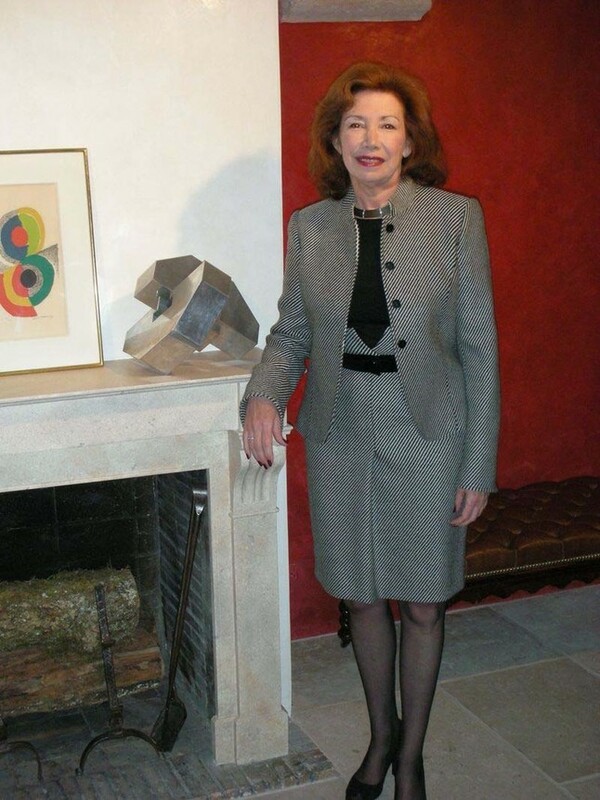 She has played an active role in bringing together distinguished figures in the world of science and the arts, both in print and in colloquia, in Europe and the United States. At the University, she teaches courses on major figures of contemporary Latin American fiction (e.g. Jorge Luis Borges, Julio Cortázar, Carlos Fuentes, Gabriel García Márquez, Manuel Puig, Juan Rulfo, Mario Vargas Llosa). She also teaches interdisciplinary courses, among them “The Culture and Literature of War” (with as guest lecturer a former special forces senior officer and UN genocide investigator); “The Discovery and Conquest of the New World” (cross-listed with History and Social Sciences), which reads this unique encounter through both 15-16th century original historical documents and 20th-century works of fiction; and “Science and Fiction,” which examines science in literature from Bertolt Brecht’s Life of Galileo to Richard Powers’s The Gold Bug Variations to Michael Frayn’s play Copenhagen. Since 1992 Safir has been a member of the Centre des Recherches Interuniversitaire sur les Champs Culturels d’Amérique Latine (CRICCAL), Université de Paris, Sorbonne Nouvelle, and on its Bureau de direction. She was Associate Director of the International School of Theory in the Humanities from its founding in 1995 until 1999. She has organized international colloquia and conferences, including the month-long Special Plenary Series Science, Technology, and the Arts in Santiago de Compostela, Spain (1999) and AUP’s first President’s Conference, Language, Lies, and Ethics, at the Bibliothèque Nationale de France (2003). She sits on the organizing committee of the CRICCAL’s biannual international colloquium, and is currently coordinating AUP’s partnership with La Cité de la Réussite, Europe’s most important university forum, for its annual event at the Sorbonne (20,000 attendees). She has recently been elected to the Board of Governors of the Association of Yale Alumni, where her primary focus will be on long-range planning, graduate and professional schools, and international education. Earth Tones: The Poetry of Pablo Neruda (with Manuel Durán). Indiana University Press, hardback edition, 1981; paperback edition, 1986. A Woman of Letters. Doubleday and Company, 1984. Mélancolies du savoir: essais sur l’oeuvre de Michel Rio (general editor, author of introduction, and contributor). Editions du Seuil, 1995. Melancholies of Knowledge: Literature in the Age of Science (general editor, author of introduction, and contributor). State University of New York Press, 1999; hardback and paperback editions. Contributors: Stephen Jay Gould, biologist (Harvard), Michel Pastoureau, historian (Sorbonne), James Ritter, physicist (Paris-VIII), James Swenson, French literature (Rutgers), Jean-Michel Rabaté, literature and psychoanalysis (University of Pennsylvania), Joaquín Galarza, anthropologist (CNRS, Musée de l'Homme, Escuela National de Antropología e Historia, Mexico), Christian Metz, semiologist (Ecoles des Hautes Etudes en Sciences Sociales, Collège de France). Connecting Creations: Science-Technology-Literature-Arts (general editor and author of introduction). Centro Galego de Arte Contemporánea, 2000. Spanish edition: Conectando Creaciones: Ciencia-Tecnología-Literatura-Arte, CGAC, 2000. Contributors: scientists Carl Djerassi (Stanford), Stephen Jay Gould (Harvard), Roald Hoffmann (Nobel Prize, Cornell), Evelyn Fox Keller (MacArthur Fellow, MIT), James Ritter (Paris-VIII), Catherine Goldstein (CNRS); humanities scholars Filiz Eda Burhan (AUP), Yacov Sharir (University of Texas, Austin), Anne Hogan (London Contemporary Dance), Vladimir Abramovi? (philosopher), Franz-W. Kaiser (Director of Exhibitions, Gemeentemuseum, The Hague); artists Marina Abramovi? (performance), Jürgen Partenheimer and Doris Vila (visual), Michel Rio (literature), Jon Rose and Hollis Taylor (music). A book-length study of science and imagination in the literary works of 19th- and 20th-century authors in the two Americas and Europe. A book of personal and critical essays. “The Right-wing Intelligentsia in Argentina: An Analysis of its Ideology and Political Activity” (with Juan Francisco Marsal), Social Research, The New School for Social Research (Autumn, 1970). “Mitología: otro nivel de metalenguaje en Boquitas Pintadas,” Revista Iberoamericana, University of Pittsburgh (March, 1975). "An Erotics of Liberation: Notes on Transgressive Behavior,” Books Abroad (August, 1976). Republished in The Final Island: The Fiction of Julio Cortázar, eds. Ivar Ivask and Jaime Alazraki (University of Oklahoma Press, 1978). Published in Spanish as “Para un erotismo de la liberación: Notas sobre el comportamiento transgresivo en Rayuela y Libro de Manuel,” in La isla final (Ultramar, 1983). Revised and republished as “Erótica y liberación” in the Archivos Collection critical edition of Julio Cortázar’s novel Rayuela (Hopscotch), ed. Julio Ortega (Archivos-CNRS, 1996). “Une opération vertigineuse: seconde lecture,” América, no. 17, Presses de la Sorbonne Nouvelle (January, 1997). “It is not safe to know,” in Melancholies of Knowledge (1999, see above). “Beware the Jabberwocky, A Cautionary Tale,” in Connecting Creations (2000, see above). Published simultaneously in Spanish. “Des ancêtres incertains,” América, no. 19, Presses de la Sorbonne Nouvelle (December, 1997). Revised and republished as “Uncertain Ancestors: Carlos Fuentes’s Cristóbal Nonato,” Review: Literature and Arts of the Americas, no. 2, vol. 37, The Americas Society/Routledge (November, 2004). Revised and republished as “Les improbables Curies de Tlalpan ou les relations d’incertitude,” Cahiers de la Herne (forthcoming, 2005). From the French: Michel Rio, Archipelago. Pantheon Books, 1989; Quartet Books, 1990; paperback, 1992. From the Spanish: Julio Cortázar, Black the Ten. Maximilien Guiol, 1984. I am Margie Arent from Rolling Road, now known as Margery Arent Safir and living in Paris. It is almost inconceivable to me that not one but two of us from that small area of Rollingwood ended up knowing Bob Wilson. The neighborhood was hardly a hot spot for avant garde theater, although you were always into theater. I have one son, Alexander, who was born and raised in Paris and attended Oxford. He now lives in Senegal with his Senegalese wife and their two small sons, and works for Google, specifically Android for emerging markets, which satisfies both his entrepreneurial side and his sense of doing something significant for Africa and other developing markets. He originally went to Senegal to found an NGO to help young people who had dropped out of the school system rediscover an appetite for learning. Well, that should at least give you some sense of where I've been and what I've been up to since I left Rolling Road. It was really a delightful surprise to hear from you, and I wish you all the best for the 50th reunion. Should you ever find yourself in Paris, please do let me know and we can do our own reunion.